“bkwyrm” is the AOL screen name I came up with in 1994. Rather obviously, it's a deliberately munged version of “bookworm.” It's kind of distinctive, so I've kept it as a user name for the Web and IRC. There are a few other “bkwyrm” people out there - someone owns bkwyrm.com, and a man on AOL now has that screen name in use again. There usually isn't much confusion - I'm pretty much the only “Bkwyrm” who contributes to occult/magical reference sites. Quick rundown: female, thirtyish, married, no kids, three cats, B.A. in English Literature and Semiotics, Masters in Library and Information Science. I live in Chicago, I work at an ISP, and my favorite color is green. I wear boots a lot and own a blue Honda CRV. 3. Why do you use a pseudonym? There are a lot of crazy people on this planet. I don't want them showing up on my doorstep or calling me on my telephone. Cyber-stalkers do exist, I've seen the things they've done, and I don't want to leave myself open to that. Besides which, involvement in magickal or occult communities is still frowned upon by “polite” society. I'm in no way ashamed to be an occultist, but I also believe that broadcasting my legal name and relevant information contradicts common sense. 4. Why do you write book reviews? In 1995, when I'd discarded AOL and signed up with a real ISP, I took a weekend class in HTML. Using Notepad, I put a web page together that included a recommended reading list for people interested in magick. In 1996, I took a class on reference sources in the Humanities for my master's degree. Part of the work for that class involved writing fairly detailed critiques of reference sources. It occurred to me that while there were plenty of people recommending books on magick and related topics, there wasn't actually that much information on the books themselves - did they have an index, what format was the book in, was it easy to use, was it easy to read. I updated my recommended reading list with these notations. Soon after that, my recommended reading list became book reviews. It's interesting to note that at the time I started writing reviews on books about Paganism and/or the occult, there was a definite bias floating around against negative reviews. The general theory seemed to be that if a book was about Wicca, Paganism, Druidic lore, or what have you, it ought to be celebrated because there weren't that many books on those topics out. Rather obviously, I disagreed. Just because an author had written a book didn't mean that it ought to have been published, that it contained accurate information, and it certainly didn't mean the book was any good. I have gotten a lot of very angry email over the years accusing me of being “negative” and ruining any sense of community when it came to magical literature. I still feel that an honest opinion is better than a commendation based on a mix of guilt and a sense of obligation. 5. Will you review my book/manuscript on your site? Maybe. Email me and give me the details - you never know what I'll take and what I won't. I used to never, ever have fiction reviews on my site. Whoops. Same with books on Kabbalah. If your book is on how to make a crystal your best friend, I probably won't review it. 6. Who the hell do you think you are, giving out opinions on books like you're some kind of authority? I think I'm someone with an opinion and enough training and experience (both magical and mundane) to evaluate and critique certain kinds of books. Nowhere on this site does it say anyone has to agree with the reviews. Each reviewer has his or her own opinions, which may or may not agree with mine or yours or anyone else's. If you don't like to hear honest opinions, don't read the reviews. 7. Can I write a book review for the site? By all means. I can't promise I'll put it up, but you're welcome to submit reviews. There's a contribution form on the site where you can send me a review - email me for the URL. If I think that the review is well-written and appropriate for the site, I'll send you an email to let you know I'm putting it up. Then I'll hound you 'til the ends of the earth for more reviews. If the review is essentially solid but needs some editing, I'll ask for your permission to upload an edited version of your review. If you decline the editing (which is usually reserved for grammar, punctuation, and general flow), the review will not be posted. If I don't like the review, I'll send you an email and tell you I won't be using it, and I'll probably tell you why I won't be using it. In the end, it's my site, and I've got the final word on what gets posted and what doesn't. 8. I have a newsletter/zine/mailing list and I'd like to use some of the reviews and/or essays from Bkwyrm.Net. Is that okay? Only if you get permission from the author of the review or essay, and only if you publish the material unchanged. Some people appear to believe that if something is published on a website, it's in the public domain and anyone can reproduce it anywhere they want. This is not true. Everything on the site is under copyright, from the reviews to the graphics to the database programming. That said, people are usually pretty open to having reviews and essays reproduced on other sites or in print format. All I generally ask for is a copy of the magazine/newsletter/etc. Just please, ask first, don't just swipe material off the site. Along with being illegal, it's rude. 9. I wrote you an email and you didn't write back. What's up with that? Sorry. I get a lot of email. Some of it gets answered, some of it doesn't. You might try sending it again if I haven't written back in a few weeks. I do try to answer most of my mail. 10. I want to get in touch with someone who wrote a certain review. How do I find them? I'm working the reviewer emails into the reader's advisory section. In the meantime, you can email me to get in touch with them. While the vast majority of reviewers are Internet-savvy and happy to accept communication electronically, there are still a few Luddites who prefer to donate reviews in paper format or through other people. Keep in mind, also, that some of these reviews have been on my site (in various formats) for five or six years, and email addresses may have become inaccurate or I may have lost track of someone. 11. I like your site. Did you do it all yourself? Hell, no. I can manage simple HTML in Notepad, that's about it. The programming on this site was done by the talented Annelise Bazar. All images were commissioned from or created by the graphic design firm Delusions of Grandeur. Both are professionals, and would welcome inquiries about their availability to design or code other sites. If you have an overwhelming urge to take graphics off this site and use them on your own - don't. I'm married to a lawyer and not afraid to use him. 12. Do you do anything other than review books? Yep. I'm involved in a few media fandoms, meaning I read fanfic and keep myself updated on what's going on in certain circles. I practice ritual magick, usually on my own, sometimes with a small group. IRC used to be a major social outlet for me. 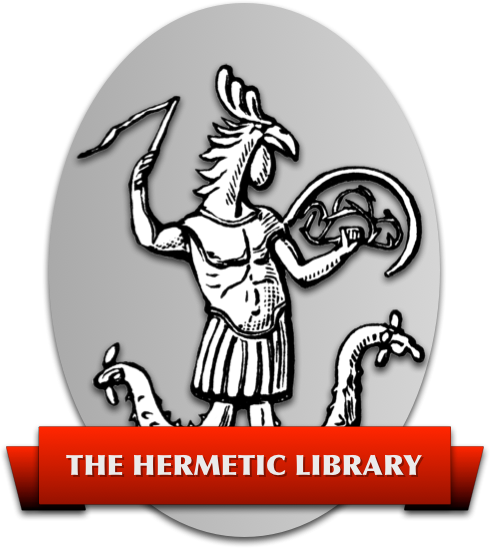 Not so much anymore, but you might look for me on the Undernet, in #thelema or #thee_vortex. I like silent movies, old books, libraries, black and white photographs, a wide variety of music, my cats, my husband, and certain semi-obscure Canadian actors. My day to day life is infrequently chronicled in my LiveJournal, at http://www.livejournal.com/users/bkwyrm. 13 I want to practice magick. How do I start? Just start. You might want to get a beginner's book or two, or possibly even read up on the history of magical practice, but other than that, you're on your own. I won't tell you what groups to join (if any) or who to listen to for advice. So. FAQ. Got any more questions? Send 'em over to bkwyrm@bkwyrm.net. I might even answer them.